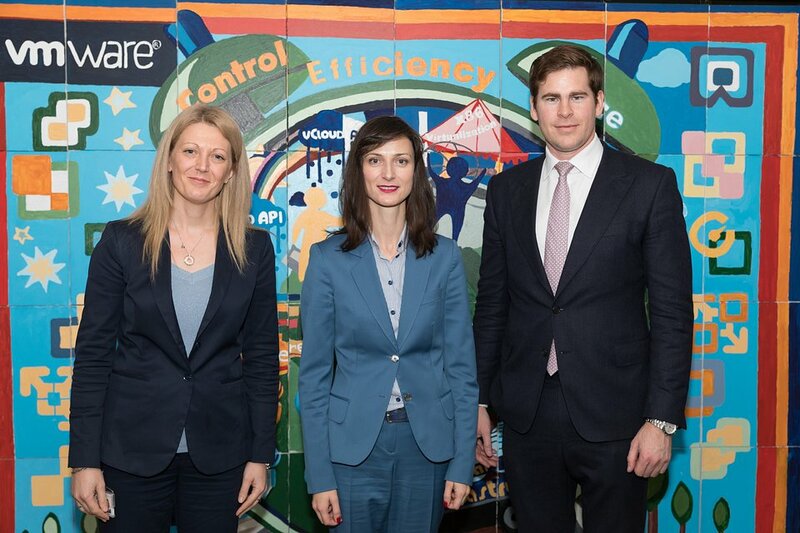 During an official visit in Bulgaria last week Mariya Gabriel, EU commissioner for the Digital Economy and Society, met with our Managing Director Diana Stefanova for a strategic discussion on several key digital topics for the EU tech industry. The future investments of VMware in Bulgaria were a leading topic during the meeting. For our 11 years on the market, VMware has been recognized as one of the biggest investors in the region. By announcing our plans for further growth in Sofia, we confirmed our commitment to continue supporting the Bulgarian economy and local talents. Diana Stefanova also talked about our plans to move into a new state-of-the-art office in 2019 and to increase our local team to a capacity of 1 500 people. She shared how VMware Bulgaria has transformed its operations from an R&D facility to a multifunctional hub with product, revenue generating professional services and business operations teams and is one of the top three core strategic R&D sites for VMware globally. Women in tech was another important topic of discussion as VMware continuously increases women’s representation in STEM and supports the initiatives that drive diversity on each level. We sponsor the Bulgarian chapter of the global Women Who Code organization, support coding initiatives like Rails Girls, and also organize career consulting events and many other. Our commitment to diversity and inclusion is reflected in our strategy called VMinclusion which ensures engagement and understanding among all levels in the company. Cybersecurity was also one of the key topics of conversation. As a company that provides security solutions for its customers globally, VMware fully supports the development and implementation of measures to make Europe more trusted and secure online. This corresponds with the EU Commission strategy of citizens and business to reap the benefits of the digital economy and is also reflected in VMware’s paper the five core principles of cyber hygiene - the most important and basic things that organizations should be doing. In addition, we shared VMware's experience in supporting the growth of digital skills among the younger generation through various initiatives like free coding clubs, cloud computing summer schools, etc. Last month, a team of company mentors and a squad of 7 enthusiastic children from the VMware Bulgaria Coder Dojo club, visited the European Parliament for an EU Dojo meeting. The young coders presented their projects on stage and had the opportunity to teach Members European Parliament how to code. In order for the EU to be the global digital leader, to provide opportunities for European business to head the digital transformation, and become more competitive worldwide, we all need to work together - law enforcement, industry, science communities, and of course society. Innovations drive development and we must continue supporting them.